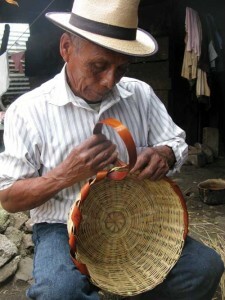 Baskets are important utilitarian, decorative and potential income items found around the world, including Guatemala, where many locations are known for specific basket styles. Among them is the community of Chajul, located in “the Ixil Triangle,” a region in the department of Quiché that encompasses the municipalities of Santa María Nebaj, San Juan Cotzal and San Gaspar Chajul. Distinct traditional dress and accessories, such as locally made hats and net bags, are worn by many of the Ixil-speaking residents. 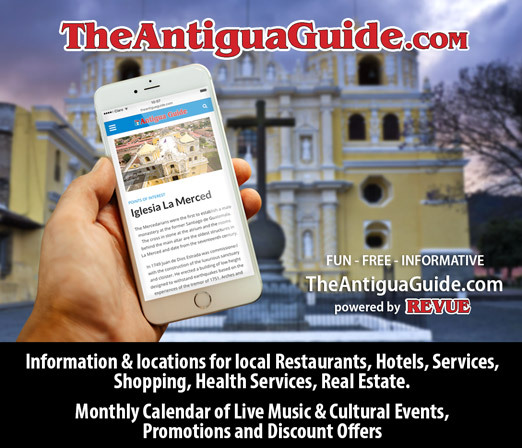 As elsewhere in the country, markets and festivals provide an opportunity to showcase and sell these specialized items. Pilgrims from all over the western and northern Highlands, some walking for several days, arrive in time for the second Friday of Lent—this year on March 2—to pay tribute to the Christ of Golgotha, housed in the large colonial Catholic church. 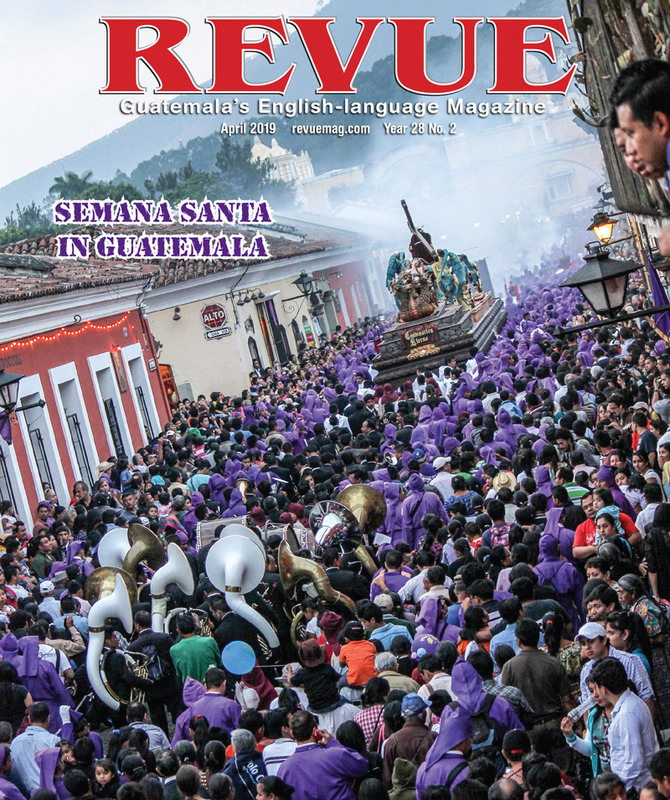 After Esquipulas, this is considered the most important religious pilgrimage site in Guatemala. memento is the unique basket, marketed by men and women in the central park and on the church steps. This singular item became so important to Chajul that the Dance of the Baskets was performed once a year until at least the 1960s, with the principal dancers wearing locally made baskets as their ceremonial headgear. The entire tradition ceased in the 1980s when it became too dangerous to travel during the civil war. 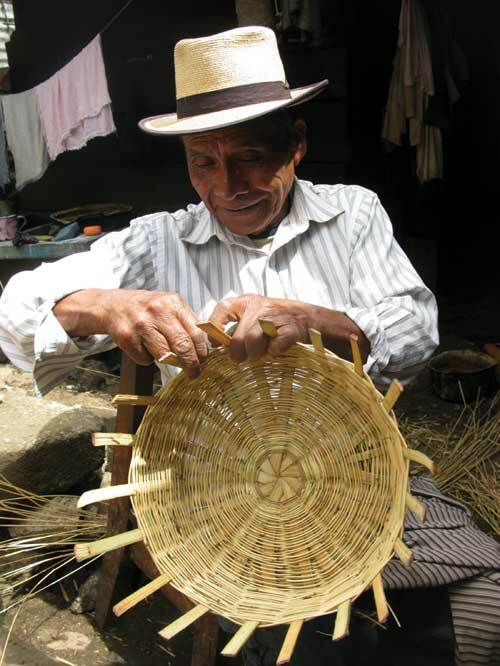 Since the signing of the Peace Accords in 1996, basketry is again alive and well in Chajul and today about 45 weavers, mostly men, make baskets. While the Dance of the Baskets has not yet been re-introduced, a week prior to any celebration, basket materials drying on rooftops and basket-weavers can be seen around town. These round baskets are not only beautiful objects, but important containers for historical knowledge of a traditional art form. But before this idyllic scene develops, there is much work to do. This includes locating, harvesting and preparing the materials. A long trek to the cloud forest where they grow wild is required because the necessary plant, bark and vines are not cultivated nearby. 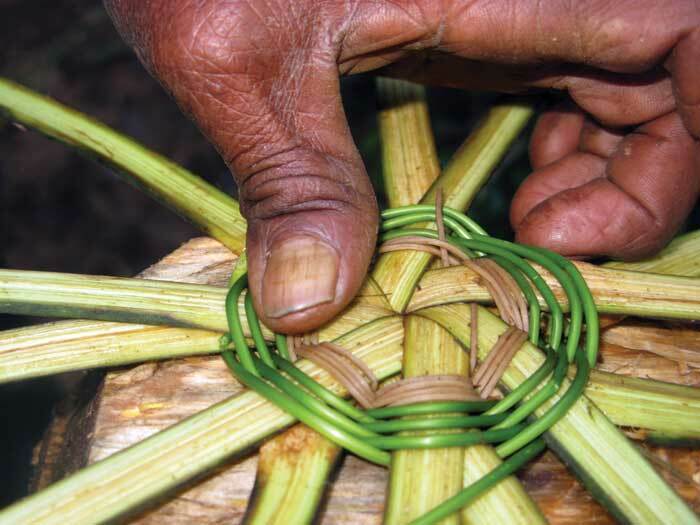 Often a few men will go together and spend several days harvesting and processing their materials before returning home to weave the actual basket. Several varieties of warp materials (to’chuk, xinak or pin in Ixil) can be used, and when a basket is begun, six, eight or 10 warp strands are arranged in a way that radiates outward from the middle, locally referred to as reflejo del sol (reflection of the sun). An additional single warp is inserted to create an odd number, and a single active strand weaves in and out of the warps with a basketry method called “English randing.” For the first two or three rows, a strong, flexible vine (otxotx or jul in Ixil) is woven to hold the warps into place, and then the same technique continues for the remainder of the basket with a thin variety of bamboo (xicap in Ixil), until the end. water for about five minutes to soften, and then wrapped around the rim to hold everything together and give a finished look. With prepared materials, a small basket can be completed in about an hour, while larger ones take three hours or more. These round baskets come in many sizes and are not only beautiful objects, but important containers for historical knowledge of a traditional art form. So, if in Chajul for a celebration, buy a basket to commemorate the occasion. But, if this municipality is not in your travel plans or it is the wrong time of the year, Chajul baskets can be found at Nim Pot, in La Antigua Guatemala.